It is really a difficult task to design a page from scratch. So we need WordPress page builders or best WordPress page builder Plugins. Many things are to be taken into consideration while making WordPress theme from scratch or designing a WordPress page such as functionality, mobile-friendliness, framework, concept, design etc. It becomes more difficult if you have no knowledge of coding. After having their page done, WordPress users are always in search of some best WordPress page builder to design individual pages. In early days people used advance content editors to structure their pages. Drag and drop WordPress page builders are the new breed of web design software that help to design amazing pages without any coding fuss. 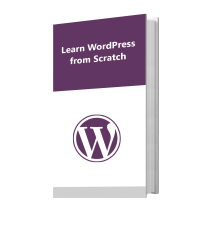 You can create WordPress page template from scratch. Here in this article, you will come across the features, price, and editions of various best drag and drop WordPress page builders Plugins and this will help you to choose the one among various best WordPress page builders plugins. you can read about create WordPress page template from scratch and how to fix WordPress page update not working or how to create WordPress custom login page. So now let’s take a look at the WordPress page builder plugins. WordPress page builder is an optional WordPress tool that allows you to build your pages and infact complete WordPress page from scratch. Designing a page is not easy work that you can knock out in a few hours.The drag and drop WordPress page builders or website builders can surely speed up your site making process and maybe even one that doesn’t cost a dime and without the fuss of learning code. Why use WordPress page builders? Some of the paid drag and drop WordPress page builders add complex features to your pages easily and add functionality. In most of the cases they allows you to edit pages with its drag and drop editors. It enables you to see your page look when it goes live. you can learn how to design best SEO WordPress theme. You can secure your site with WordPress security plugins or with Brute force protection plugins of WordPress. TemplateToaster website builder is a full-fledged robust WordPress website builder which provides an intuitive design environment to design WordPress themes. It is a desktop app that works even offline. It also offer advance options in WordPress backend once you install its theme. It also supports other major CMSes such as Joomla, Drupal, and E-commerce solutions such as Magento, OpenCart, WooCommerce, Prestashop etc. “WordPress with Content” is another feather in the cap by which you can directly add content while designing your theme for WordPress and hence don’t have to worry about adding content later. Responsive web design software with the preview options for desktop, tablet and mobile views. It provides an option to add unlimited widget areas and smooth drag and drop. With the latest version, TemplateToaster provides adding header video. 100s of sample themes and templates available to download free and customize accordingly. Over 100 of color schemes, Google fonts, stock Images. In-built Image Cropping, resizing options. Beaver builder is one of the famous best drag and drop WordPress page builder plugin that works through modules and widgets to lend a hand to users to generate inspiring and amazing designs. It is bottled with various pre-built layouts and its variations that too are fully mobile-optimized. It has live front-end editing so there is no worry of checking when making changes. You can save and reuse column, rows, and modules for future use. It is a third-party plugin so it doesn’t lock your changes to a specific design. The platform allows you to add audio files and HTML codes. You have complete control over the content even if you stop using the builder. Moreover, it provides over 20 content module options that are suitable for all devices. It has free and paid versions for $99 – $399. The plugin usually gets great reviews and has a strong reputation in its field. An interactive drag and drop interface. Mobile friendly and SEO optimized output. Pre-made templates available export and import feature. Bottled with content option (pricing tables, forms, testimonials, tabs and many more). Elementor is the most powerful drag and drop WordPress page builder plugin. The blazing fast speed of the UI that truly set it apart from other. It is made with PHP7 and the latest coding standards. It allows you to see your page live as you edit. It has 28 widgets and you can add widgets created by other WordPress plugins. It also offers pre-built page templates that you can just insert into your pages. The layout is customizable and creates fully responsive perfect pixel design. If you decide to stop using Elementor, the layout is lost but the content remains undamaged. You can click to edit any component and change it with your own content. This crowd pleasing drag and drop WordPress page builder plugin customizes nearly every aspect of your pages. Price range from $49- $199. Visual composer is a crowd favourite WordPress page builder plugin. It is highly advanced and has frontend and backend editing to give you the best of both worlds. The platform leaves behind a large number of shortcodes. The platform ships with 60+ predefined layouts and 45 +content modules. Visual composer increases your online visibility with WooCommerce integration and a Yoast SEO plugin. A good part of best drag and drop WordPress page builder success comes from its 40+ content element, 19 custom layouts, 140+ animations and over 5000 icons to enhance the functionality of the drag and drop plugin. Furthermore, it offer 150 add-ons and templates to make customization fast and straightforward. It has two versions free and $349. bundled with various icon libraries. a full list of Google Fonts. 3rd party shortcodes directly from the editor. Divi has a highly intuitive drag and drop WordPress page builder Plugin. It includes a bevy of modules and has a library of 20+ premade layout which you can mix and match to build stunning pages. It is a feature packed drag and drop WordPress page builder plugin that comes with over 46 content modules so that you can add portfolios, pricing tables, testimonials and lots more. It has feature“split test” that gives you the authority to split test unlimited modules, rows or columns. Divi builder can work with any 3rd party theme. It price is $89 for basic and upper version for $249. Themify allows you to work on both the front-end and the back-end so you don’t need to keep clicking the preview button or guessing when making changes. You get a more innovative privilege to customize everything. It offers responsive elements across all resolutions. It also ships with 60 ready-made layouts, color scheme, customizable designs and support shortcodes. The styling options have Google fonts, video backgrounds, and animations. Tutorials provided by this plugin is very informative. It also provides over 60+ Animation effects. It can work on any third party theme. Themify is reusable layouts like nested columns/row and an effective modular system. It has tools that provide the import and export feature, draggable column widths, copy/paste modules. This WordPress page builder plugin is available in both free and paid versions $39-$59. Pre-defined content modules like blog posts, sliders, testimonials, text, videos etc. Styling options like video backgrounds, additional CSS classes and styles and much more. Both front and back-end editing. Page Builder by SiteOrigin is a leading drag and drop WordPress page builder plugin. Almost one million active customers don’t lie! It builds responsive grid-based page content that can be tailored to any mobile device. It is quite simple to make a page with this plugin you just need to drag and drop to customize your site and simply add your own price boxes, call to action, post button and galleries. This free WordPress page builder plugin boasts a lot of widgets. The widgets cover modules for headlines, Google maps, image grid and much more. You can change widget attributes like padding, background, column spacing. It also allows third-party widgets. The platform offers both front and back end live editing but its front end editing is not compatible with the other WordPress page builders in the competition. It is really a good option for beginners as it offers basic essential modules. Even its user interface is decent and the code used is lightweight and SEO friendly. Few of its features are locked and only gets unlock when you buy the premium version. It has history tab which helps to look back and rectify if any mistake is done. Its price is $99 and free version is also available. Enabled on any page or post. Customization attributes like colors, styles, add custom CSS, and much more. Page builder sandwich is amazing free front-end editor. Standard WordPress widgets and custom widgets are supported by the sandwich. If you don’t want to start from scratch or you are a newcomer and you want to make stunning pages without touching a single line of coding, then sandwich is for you. Its premium version provides you tons of plugins, shortcodes and vector icons. It is compatible with all major plugins and theme. Above all, it allows you to edit and view content on mobile, desktop and laptop. It comes with essential tools and templates to make sure that you don’t face any problem in creating your site. Even if you disable the plugin, your content does not disappear. The drag and drop WordPress page builder plugin is for $349. Live composer is open source front-end free WordPress page builder plugin that will help you to design awesome looking modern pages without a single line of coding. It comes with premium quality features and drag and drop interface. It has 30 +content modules including tab, post box, comments, slider, galleries etc. Customization is done using a front end editor while the main editor is displayed at the bottom of each page. It has a customization option for rows, columns, module, and widgets. It allows you to style your page, insert modules and save templates thus, you need not worry about complex code, but for a developer, it has custom CSS box. It is the free alternative to the Visual Composer. The plugin cost $99. Motopress allows both front and back-end editing but this transition from back-end to front-end can be glitchy sometimes. It has special feature “motopress content editor” that helps you to switch between front and back end. It provides full drag and drop support while editing, and you can create responsive WordPress page. This WordPress page builder plugins popular feature is it works on existing page and can redesign them. Motopress comes with 20 custom modules and over 30 responsive elements. Its price range from dollar 29 to 139. Qards is built by Designmodo. It is for building landing pages for WordPress. The idea behind the tool is to focus on creating content rather than worrying about the design and letting Qards take care of design. The platform includes Pre-Designed Blocks, Easy Click-to-change Editor, Powerful text editor, Fully customizable etc. Professional version for dollar 199. Ultimatum allows you to use any widget and plugin by just dragging and dropping them anywhere in the layout. It comes with the classic 12 column grid system from 960.gs or Bootstrap integrated with 12 boot swatches to enhance the functionality of this WordPress page builder plugin. It is enriched with features like a visual composer, sidebar, seven menu types, custom widgets, front-end CSS editing, countless hooks, etc. It for $55 – $499. King composer is the fast, powerful and lightweight drag and drop wordpress page builder plugin. It comes with professional Back-End Editor. No coding skills are required and are easy to use. In its pro version, it offers the Front End Editor & Add-ons . Its price $39- $499. Real preview all of the themes. Import & export HTML code. Visualize CSS properties for each node. Access to videos tutorials, articles tutorials, documents, developer forum on any trouble. CSS and responsive system in the backend. Cornerstone’s front-end approach make the user experience much intuitive and responsive than the other drag and drop WordPress page builder plugins. You’ll find useful elements or modules which you can add in a custom layout. Furthermore, it has pre-built page layouts that will help you to kick-start your designs. With the help of Cornerstone, you can make advanced layouts of multiple rows and columns. Price is $39. Online support forum and documentation. Mobile responsive designs and designs. Awesome builder is packed with more than 25 ready widgets. It gives you full control over colors so that you can make great pages. Its responsive layout allows you to enable/disable any widget or row in Desktop or Mobile. It has a save and reuse feature which clones any saved theme in one click. 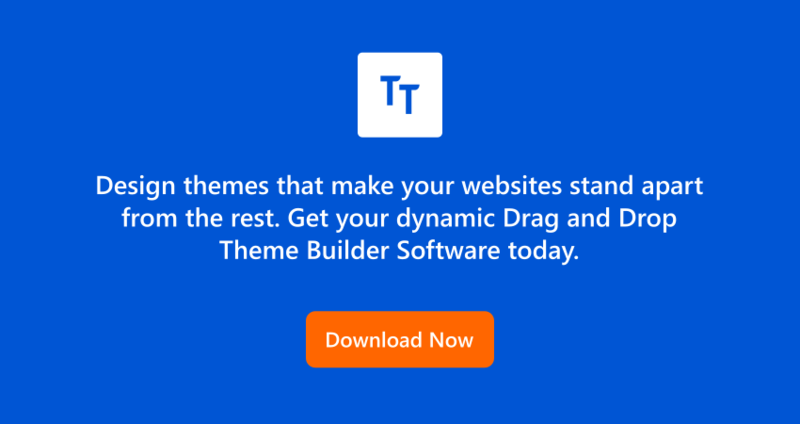 The drag and drop WordPress page builder plugin for $40. Full width and row and background. Content Builder gives you leverage to edit all content inside the application and allows you to unite documents, images, and content in one location with just a few clicks. It has magnificent drag and drop interface to change posts and pages. The Content Builder is bottled with various features such as videos, Google maps, dividers, rich text or tabs. It facilitates you to add Vimeo videos or YouTube in a snap. Recently the platform is integrated with Email Studio and has a wonderful feature to Search and filter for the email of your choice. Basic price $69 and upper version $599. Massive Visual uses a wide set of shortcodes. The plugin allows you to manage layouts and page items. It offers more than 51 content element and 12+ post modules. It for $26. Zedity basically is an advance content Editor for WordPress. It’s features include touchscreen devices, modern ribbon interface, content duplication, embed audios and videos. It’s draw box feature enriches your pages with lines, arrows, shapes and has a Freehand drawing feature to sign your articles with your signature. Customization of post and page is fast and easy. No coding skills are required. Buy it for $39 -249. Conductor plugin is basically a set of pre designed content blocks that can be customized in its user interface. I has been created for developers and designers that want to create an outstanding pages. You can present your WordPress content in a table, grid or list. It has intuitive drag and drop interface and comes with frontend editor. The main idea behind the plugin is to allow you to modify page layout and change the overall look of the pages. What makes conductor unique is its feature to have complete charge of the page instead of just the content area. Rather than being a content editor, it is also a layout builder that takes complete control over the layout of the page including the header, footer, sidebars, etc. It’s the latest version has symphony framework. If other WordPress page builders are weighing you down, Conductor drag and drop WordPress page builder plugin is a good candidate to consider and is for $99-$399. Pootle is a front-end drag and drop WordPress page builder plugin. With this intuitive plugin, you can make stunning looking posts and pages. Technical knowledge is not required. The platform comes with custom layout concepts, add new rows and columns, insert custom media, appearances of block/row/column are managed manually. Its for $99-$149. Add background images, colors and videos to rows. Includes parallax background images for rows. Includes full-width rows, to create long sectional pages. Front-end drag and drop live designer. PixGridder is a very basic grid generator plugin that generates nice page grids for WordPress. It is not a complete page builder in itself and you need to pay $24. The Creator is incredibly easy to use and simple. No coding skills are required as it work right out of the box. It has 8 different sets of icons and 70+elements. The platform allows you to save layouts for future use. Its poedit feature makes translation easy and fast. The creator modules offer many functionalities and styling options. It has unlimited color and page combination. Its for $33. Content Manager for WordPress creates frontend responsive layout within few minutes. When you are done with the layout you can fill content of your choice without going to the backend. This drag and drop wordpress page builder plugin provides you frontend drag and drop editing of layout and content without going to the admin panel. It is bottled with ready to use shortcode and customization options. you have to $26 for this page builder. Bricklayer has an unlimited number of layouts such as full width, narrow, right-sidebar, left-sidebar, boxed, anything you can think of. It is both content and layout building tool. You are allowed to save every configuration as a template and can be reused in future. The plugin offers 20+ widgets to build blocks for any type of design. Bricklayer allows you to custom classes directly from the widgets and price is $24. Rapid Composer developed by Bitorbit has powerful backend and simple to use frontend editor. It has set of essential content elements and integrated with undo/redo, clipboard etc. Drag and drop WordPress page builder plugin price is $34. Tailor is an open source and free WordPress page builder plugin that helps you to create beautiful and complex sites. You can customize the look of the pages using various options. Drag and drop WordPress page builder plugin supports RTL layouts and multi-language. It has page specific layout settings and adds custom CSS. History panel for undo and redo actions. Modify the appearance of elements using selected options. Copy elements by dragging and holding the shift key. UIX builder is content creation drag and drop interface with user-friendly and online Visual Editing. It has 6+ One-Page Templates. Its features include customizable core style sheets, support loop list items, RTL support, etc. Its free drag and drop WordPress page builder plugin. Thrive Architect creates beautiful, engaging, visually impressive layout and content for your pages. This engaging drag and drop WordPress page builder comes with inline editing and price is $67. It shines for marketers as its main focus is on marketing. It allows you to preview on different screen sizes. You can create webinar pages, sales pages, opt-in pages, and lot more. Upfront was launched by WPMU DEV in 2015. With Upfront drag and drop WordPress page builder plugin, you can customize the content and design on the front end without ever logging into the admin panel. With this plugin, you can customize every single thing from the front end, drag and drop interface. Its child theme come with 3 options to choose from scribe, fixer, spirit. You have to pay monthly $49. Activate parallax with a click. Frontend builder has pre-made elements like menus, headings, buttons, and forms that are customizable within the main interface. It is drag and drop composer with 40+ shortcodes. It has live editing and easy to use interface. You ‘ll also find it SEO and retina ready. Drag and drop WordPress page builder plugin is for $57. Professional and easy to use interface. More than 100+ Animate effect. Widget Area and Post Gallery Component. Not updated from last one year. Forge has front-end drag and drop interface to create a page. It claims to work with any WordPress theme. Its Pro version also comes with premade layouts. This free WordPress page builder plugin is it save pieces of layout and reuse them anywhere. Its content modules have featured block, pricing tables, login form, etc. An impressive feature of the forge is its Import and export function that helps you to transfer content and designs anytime and anywhere. Content sliders to hold everything. Toolset is created by the famous WPML team to create custom post types, custom fields, and custom taxonomies. Toolset lets enrich WordPress with Custom Directory and Classifieds Sites.WordPress page builder plugin price is $69-$149. Submit content via front-end editing/creation forms. Creating custom fields, and custom taxonomies. Search your custom post types with advanced queries. Build Custom Directory and Classifieds Sites. Create Custom Templates and Lists for WooCommerce Products. Brix builder is a grid-based, intuitive, drag and drop WordPress page builders plugin. It allows you live front-end editing, adding content, drag & drop and all of these features that make Brix so great and without the fuss of having to learn code. Features also include Advanced carousels, undo/redo, and templates management. The best part of WordPress page builder plugin is it shows you a live and high fidelity preview of the changes you made to the content and layout presenting it exactly how a user would see. The WordPress page builders plugin costs $49-$99. Ready for API integration and Ad integration. The advanced grid management system. Parallax one-page builder WordPress page builders plugin comes with unlimited blocks and parallax effects. The best part is page is created within few minutes. The idea behind the plugin is to make unlimited size one-page sites and use the unlimited amount of ‘blocks’ to customize. Buy WordPress page builders plugin in $24. Custom favicons,Pattern Background, Opacity Background,logo font style. Fusion by the famous team behind Avada Theme is a powerful and flexible component. Drag and drop WordPress page builders plugin is for $60. Onepager is mainly suitable for small businesses as it allows you to easily create custom layout blocks. This wordpress page builders plugin comes with Various input types, Block-Based Architecture and gulp package manager for instant workflow. It is integrated with the Bootstrap framework and React.js. Not updated from last 3 years. Aqua Page Builder is a free WordPress page builders plugin. It has unlimited number of reusable templates. This is mainly a backend plugin and has drag-and-drop user interface. It has dozens of developers friendly hooks and filters. Import/export feature really works well. Not updated from last 2 years. AIO WP BUILDER is a simple and free WordPress page builders Plugin that create beautiful, highly customised pages. It is mainly designed for content marketers and supports all types of elements including fonts, icon library, video, images etc. It is no longer maintained and may have compatibility issues with recent versions of WordPress. WR Page Builder has front and backend drag-and-drop functionality and designed with an easy to use interface. It works on page and post of any theme. It provides you tons of style variation so that you can design stunning pages without any technical knowledge. It’s live preview mode enable the users to see their pages as it would look in the front-end. It enables users to have full control over the pages. Drag and drop WordPress page builders plugin is bottled with advanced page elements such as promotion box, text, videos, QR code, alert, audio, progress circle and much more. So, you can easily find these elements with spotlight filter. The best part is drag and drop WordPress page builder plugins allows you to add widgets to any page in your WordPress editor. Backend drag and drop layout. Ether Builder is a versatile tool that works with all major themes and allows 3rd party sliders. The platform comes with customizable options and predefined styles. The display of Twitter and Flickr feed is customizable. Its feature media gallery is highly customizable and post feed, social sharing buttons, rich text, pricing box, and a lot more make it a truly magnificent plugin. This drag and drop WordPress page builders plugin is discontinued. Rows with a specified column. Octonis is the most comfortable among drag and drop WordPress page builders where you have to choose and customize blocks to build a stunning pages. It was last updated 2 years ago.This drag and drop WordPress page builders plugin is discontinued. Using any other Drag and drop WordPress page builders plugins? 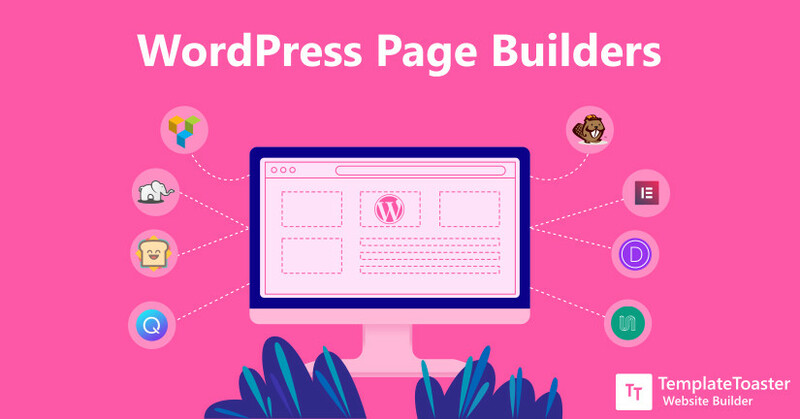 If the WordPress page builders you are using is weighing you down, then it’s time to choose an another one from this list of best WordPress Page Builder Plugins Let’s discuss more about your favourite WordPress page builders plugins in comments.